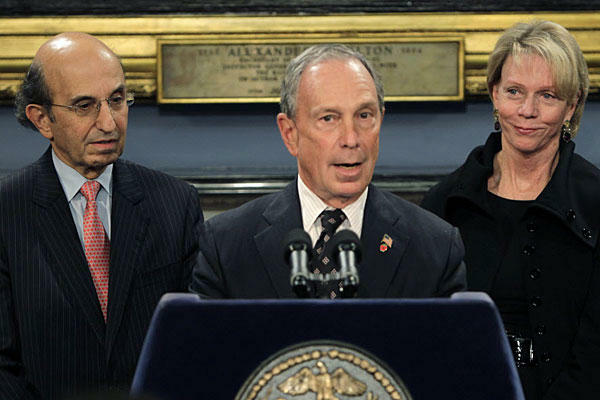 November 11, 2010 (GBN News): The abrupt resignation of NY City Schools Chancellor Joel Klein, and Mayor Bloomberg’s surprise choice of his successor, Cathleen Black, has led to rampant speculation as to the real story behind these moves. But GBN News has learned that the reason for the change was actually quite simple, and it came down to money. In a related story, Ms. Black’s appointment as Chancellor may not be a done deal. Education Commissioner David Steiner is said to be considering whether her many years’ experience as a student might actually over-qualify her under State education law, which requires just three years in the education field.